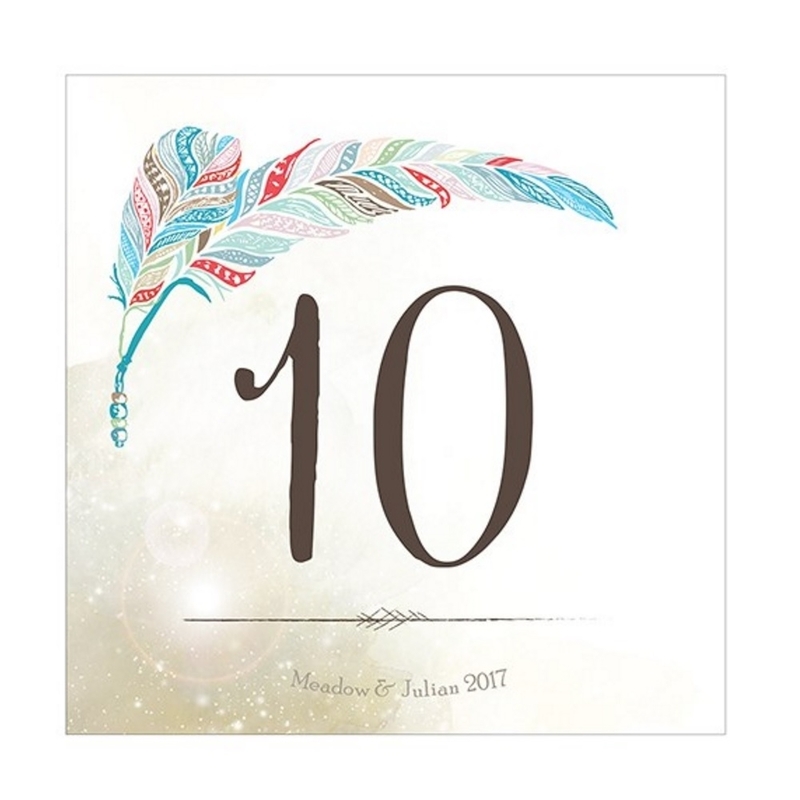 These table numbers feature an appealing featherwork print along with table numbers printed with flat print technology on an 80 lb. cover stock/215 gsm paper ensuring longevity. The numbers are sold in a set of 12, and are square shaped, measuring 4 and a quarter inches in both length and width. Items such as table numbers belong to the special class of wedding accessories that, although they may seem small, they play a part as big as any other. Fulfilling its primary purpose of clearly designating tables and guiding people towards them is the Enchanted Feathers Table Numbers, and as an added element, it brings the style with artful feather print that will surely catch the eye.